Ramblin’ Pines Campground is perfectly positioned in the center of the full range of the Washington - Frederick - Baltimore vacation attractions. Washington, DC is only a 45-minute drive away, Baltimore is less than 30 minutes, and an unlimited variety of outstanding regional attractions are even closer at hand. Please use the interactive map below to find directions. Scroll down the page to view some of the many attractions convenient to Ramblin’ Pines Campground. Ellicott City Station is the oldest surviving railroad station in America, and was the original terminus of the first 13 miles of commercial railroad in the country. The site features the Main Depot building, constructed in 1830-31; the freight house, designed by E. Francis Baldwin and built in 1885; a replica of the first horse-drawn passenger rail car, the Pioneer; and a 1927 "I-5" Caboose. Housed in the freight house is a 40-foot HO-gauge model train layout showing the original thirteen miles of commercial rail track stretching from Baltimore to Ellicott Mills. The operating layout features an introductory video and light show. 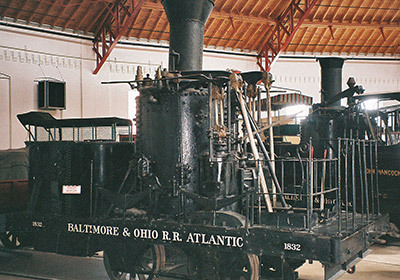 Living historians tell the story of the development of the Baltimore & Ohio Railroad, the nation's first common carrier railroad, and its impact on Ellicott City between 1827 and 1868. Located in Mt. Airy, Maryland, just off of Interstate 70, Mt. 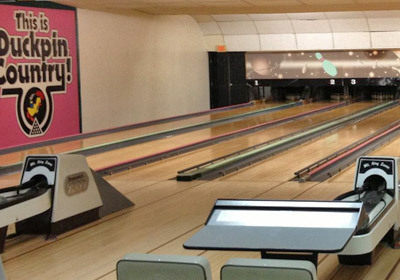 Airy Bowling Lanes offers 12 lanes of duckpin bowling for the entire family. The lanes are open 7 days a week and offer a computerized scorekeeping system. There is also a full service snack bar with delicious food, served right to your lanes, with draft beer available. Open bowling is available at most times, but call ahead to confirm availability. The Baltimore Zoo was created by act of the Maryland state legislature on April 7, 1876. It is the third oldest zoo in the country, behind Philadelphia (1873) and Cincinnati (1874). 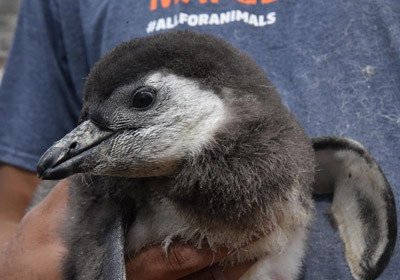 It actually had its beginnings as early as 1862, when the first of many citizens gave animals (the first being 4 swans) to Druid Hill Park for public display. Today the 160-plus acre zoo property is owned by the City of Baltimore and leased to the State of Maryland. The Maryland Zoological Society, established in 1967, operates the Zoo under a lease agreement with the state. The Zoological Society assumed full management of the Zoo in 1984. Currently the Zoo’s animal collection encompasses more than 1,500 birds, mammals, amphibians and reptiles, representing nearly 200 species. Animals are displayed in natural settings replicating their native habitats. 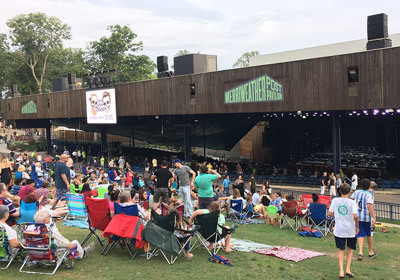 Merriweather Post Pavilion is one of the world's most beautiful and storied amphitheatres – nestled in 40 acres of forest, smack between Washington, D.C. and Baltimore. If the backstage walls could talk, they’d echo Roger Daltrey and Robert Plant trading some wicked stories about when the Who and Led Zeppelin played here in the ‘70s. Now Animal Collective has ensured its legendary status, by naming its genius CD “Merriweather Post Pavilion” in homage to the band’s favorite venue. A concert season at Merriweather Post Pavilion is like putting your iPod on shuffle: the calendar features the best in rock, country, rhythm and blues, pop, jazz, hip hop, alternative, electronica and classical. Explore 200 years of history at the Carroll Mansion, winter home of Charles Carroll of Carrollton, last living and only Catholic signer of the Declaration of Independence. Follow the mansion’s evolution after Carroll’s death in 1832, into a saloon, immigrant tenement, vocational school, and recreation center. 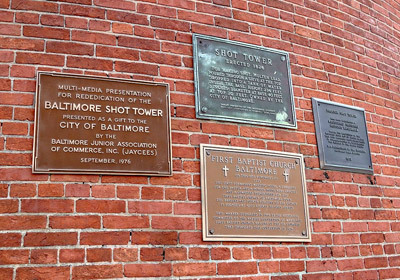 Experience the Phoenix Shot Tower. Built in 1828, it was the tallest building in the US until 1846 and annually manufactured 2.5 million lbs. of “drop” shot. It is only one of three remaining shot towers in the United States. Founded in 2002, Carroll Museums is an educational not-for-profit organization spearheading the revitalization of the Mansion and Tower through innovation, collaboration, and cultural stewardship. We welcome your support and involvement and look forward to sharing these fascinating sites with you. The museum seeks to build upon the ancient Native American Vision Quest, and other similar self-revelatory journeys undertaken by visionaries in different times, cultures, and places. We seek to draw attention to America's history as a mecca for forward-looking innovators, optimists, dreamers and doers -highlighting the sense that America is at her best when she actively remembers that many of her greatest citizens were very much self-taught, self-made pioneers. 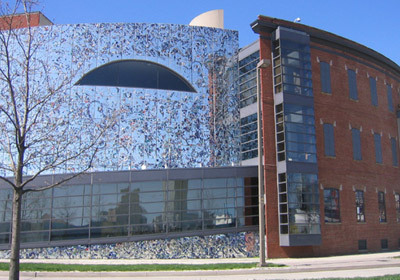 Critically acclaimed as an "architectural jewel," the 35,000-square-foot main building combines an elliptical, three-story, historic industrial building with extensive new architecture to contain six galleries, filled with art exploring one central exhibition theme at a time. We invite you to explore Baltimore, a vibrant city on the water where you will find something new around every corner. This is a city that is growing and evolving with new hotels, and new and expanding attractions. Whether you live in the area or are planning a visit, this is a destination filled with surprises and hidden treasures just waiting to be discovered. Baltimore’s world-renowned Inner Harbor is surrounded by historic neighborhoods where you will find city living at its best with unique shops and restaurants for every style and taste. The city enjoys a vibrant arts scene and embraces its history and influence on American culture. Located on I-70 in Howard County, Maryland, about a 20 minute drive from the Inner Harbor of Baltimore, Waverly Woods is set on beautiful rolling and often wooded terrain. Five sets of tees ranging from 4808 to 7024 yards make the golf course enjoyable for golfers of all skill levels. Waverly Woods reflects world-class golf course architecture at its best. 535 golf course rating panelists for Golf Digest magazine ranked Arthur Hills as one of their Top Five "Favorite Present Day Architects." Located in West Friendship, MD just off of I-70 at the Sykesville/Rt. 32 exit #80, is an 18 hole, par 62 links style course having that Scottish "feel", with mounding, deep greenside bunkering and our "love grass" surrounding nearly every hole. In designing the course, architect Al Janis wanted a course that would be both visually appealing, and provide a challenge to all levels of golfer. Weather permitting, the golf course and practice range are open year round except Christmas Day. March through November tee time reservations may be made up to 7 days in advance. Reservations are not required, but are recommended. Walk-ons are always welcome. December through February play is on a first come first serve basis. There is never a fee for reserving a tee time. Operates nine golf courses in and around the Washington, DC metro area including Potomac, Silver Spring, Rockville and Bethesda Maryland. The nine courses: Falls Road, Hampshire Greens, Laytonsville, Little Bennett, Needwood, Northwest, Poolesville, Rattlewood all offer full-service facilities including snack bar, pro shop, instruction, leagues, driving range, putting greens, golf outing and tournament facilities. Sligo Creek is a nine hole course located directly off of the Washington beltway. Join our E-Club and receive weekly news and golf specials. All courses offer frequent play memberships, reduced golf program memberships and a loyalty program that rewards complimentary golf and discounted merchandise. A Member-owned not-for-profit corporation. 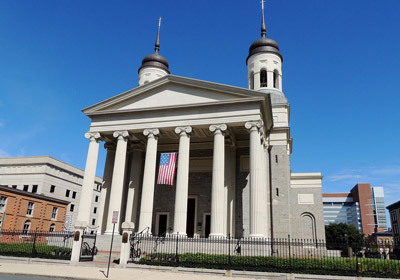 It is located within a thirty-five minute drive of Baltimore's Inner Harbor and the Baltimore-Washington International Airport. Nine hundred sixty-two acres of rolling hills, pastures, woods, and wetlands, situated amid the natural beauty of Maryland's estate and hunt country, form a spectacular setting for the golf club and its support facilities. Designed by nationally acclaimed golf course architect Tom Fazio as "a golfer's club," Caves Valley is one of a few clubs in America focused solely on golf and golfer's needs. The course features 18 holes, each uniquely fashioned to suit the natural environment, as well as a comprehensive state of the art practice facility which includes multiple practice ranges with sand bunkers, chipping greens and putting greens. The golf professional staff is highly regarded for their teaching expertise and their hospitality towards our Members and their guests. The Club has a successful caddie program with a sufficient number of caddies to meet the needs of the Membership. The course became fully playable in July 1991. 18 hole, par 72 championship layout designed by Arthur Hills. Their golf course will challenge players of any skill level. Their club is designed with the true golfer in mind, regardless of handicap. From their challenging but fair layout, to their complete practice facility, the enjoyment of their golfers is our main goal. The dramatic elevation changes, along with the natural ravines of our Arthur Hills designed course, makes River Downs truly one of the most challenging layouts in the Mid-Atlantic region.